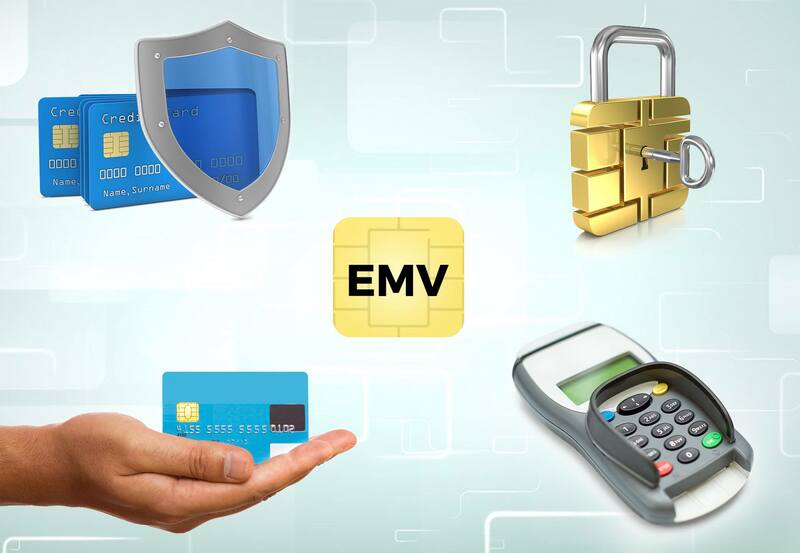 How EMV guarantees secure & protected payment transactions? PAYCRON > Blog > How EMV Guarantees Secure & Protected Payment Transactions? EMV refers to Europay Mastercard Visa and is the chip technology in a credit card that allows customers to insert their cards. EMV offers ample benefits in terms of security from risks and frauds. Talking about the best advantage, the technology is not liable for fraudulent chargebacks. Europay Mastercard Visa transactions secure customers information at a higher level as compared to the usual magnetic stripe cards. Want to know how? Well, anytime a magnetic stripe card is swiped, it is the same number that’s used to fund the transaction. Hence, if the card number gets stolen or misplaced, it is possible to purchase it easily. Thus, it is important to know that witH EMV, a unique code is generated on every transaction which makes it impossible for any fraud to take place. Does your business need EMV? Well, if you are stuck whether or not your organization needs this technology, it would be good to know that this technology is meant for business such as restaurants and grocery stores. Therefore, go for the services only if you belong to these industry types. Now this is both interesting as well as useful to know how payment is made here. When a customer buys a product or service through an EMV card, they need to insert their card in the terminal and not swipe it. Until the screen asks the customer to remove the card, it should remain in the terminal. Every business is different and has different needs. While some of them require new EMV equipment, other may go for Quickbooks, POS systems or CRM. However, by hiring the reputed professionals, a business can get the latest integrations at very competitive prices. How not complying with EMV exposes you to financial risk? Depending on the terms of EMV liability shift, credit card brands have transferred the financial consequences related to fraudulent transactions to card-issuing banks and merchants. Hence, merchants who have still not achieved EMV compliance are eh reason behind the fraud charge-backs that take place in the businesses. Though businesses may somehow get to absorb the costs of small fraud-related chargebacks, the costs could become significant. It is important to know that even a single chargeback can create a strong negative impact on the financial grounds of a business. With everything going in favor of this world-class technology, it makes sense to get started with it soon. Owing to the number of benefits offered, it’s high time for every business to make the smart move.